A family who converted from Islam to Christianity say they are being driven out of their home for the second time by neighbours who accuse them of blasphemy, Daily Mirror said in a report on Saturday. 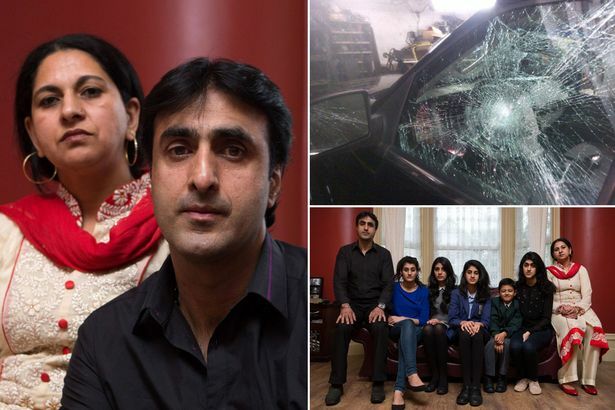 Nissar Hussain, his wife Kubra and their six children claim they have become “prisoners in their own home” as neighbours attack them in the street, smash their car windscreens and throw eggs at their windows. “Our lives have been sabotaged and this shouldn’t happen in the United Kingdom,” Nissar said. The family claim their neighbours are targeting them because the family decided to convert to Christianity. Their children attend the local Church of England primary school, where the majority of pupils are Muslims of Pakistani heritage. Nissar, 49 – who had to give up his career as a nurse due to the ordeal’s effect on his health – said “word was spread around the playground” about the family being Christian converts and their youngest daughter was bullied. Nissar said the experience left her “heartbroken” and made her “feel like a second class citizen”. This is the second time the family claim to have been targeted. Nissar ended up spending 12 hours in police cells earlier this year after getting into a scrap with a man he claims “threatened and confronted” his wife. One of his neighbours was convicted at Bradford Crown Court of a public order offence after one of Hussain’s children recorded him making threats in the street. But Nissar thinks more must be done for police to recognise the issue as a religious hate crime. He says he has paid out £5,000 over the past year after his car windscreen was smashed six times. The family is now looking to leave their family home city of Bradford. A West Yorkshire Police spokesman said: “We are aware of an ongoing matter involving Mr Hussain and are working closely with partners to resolve this situation.